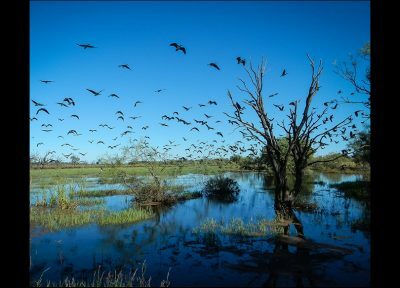 Landholders and local wetlands are seeing the benefits of a homestead pipeline project in the Gwydir valley. The pipeline has replaced an open channel that carried essential water to nearby homesteads. In doing so, the project has helped restore a more natural wetting regime, allowing the wetlands to survive and thrive. The NSW Office of Environment and Heritage installed the pipeline as part of the NSW Rivers Environmental Restoration Program (RERP). RERP was jointly funded by the NSW Government and the Australian Government’s Water for the Future initiative through the Water Smart Australia Program. 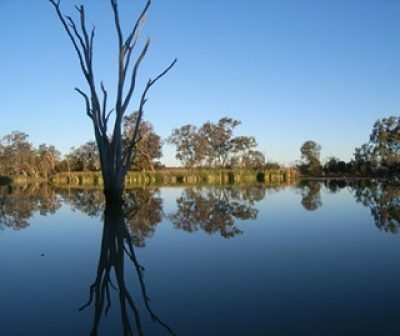 The pipeline supplies domestic water to homesteads in the Gingham Watercourse, part of the Gwydir Wetlands system. By installing this pipeline, the extensive network of open drains that previously delivered household water was able to be closed. OEH closed the channel and installed physical blocks at key locations to halt the continual draining of wetland areas and promote a more natural flooding regime. These measures in turn, have supported natural wetland processes with the purpose of kick-starting the repair of the Gingham Watercourse and its important wetlands. The initial target was to restore 3000 hectares of key wetlands habitat, however most recent estimates are that at least 5000 hectares have actually been achieved through the process of self-repair. This video here: http://www.environment.nsw.gov.au/news/the-gingham-watercourse-a-pipeline-to-restoration reflects on the local landholders’ experience of the project and the environmental outcomes of wetlands restoration to date. For more information, please visit http://www.environment.nsw.gov.au/environmentalwater/gwydir-news.htm.